Welcome to a centrally located, 1 bedroom condo. 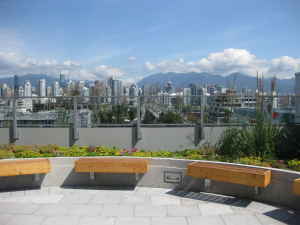 It is a brand new condo with breathtaking views of downtown and the mountains of North Vancouver. 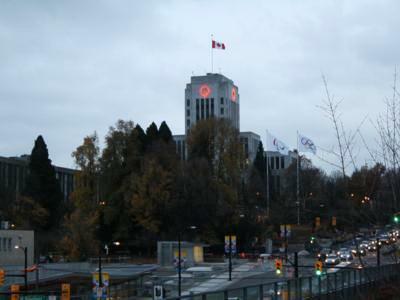 Enjoy the view during your stay in Vancouver for the 2010 Olympics. 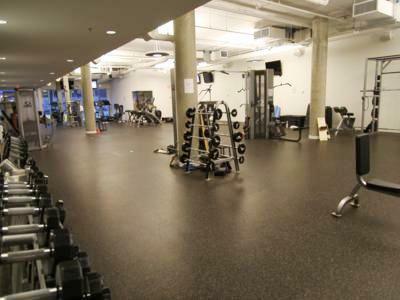 The quiet, fully furnished, 1 bedroom and bath has all the amenities within walking distance including the Canada Line Sky Train Station, restaurants, pubs, and shopping. 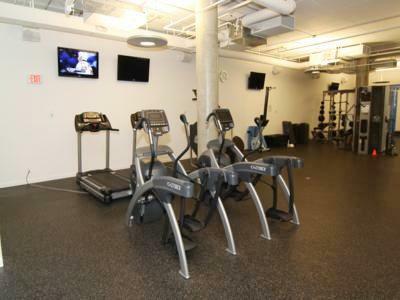 It is only a 15 minute walk to downtown. 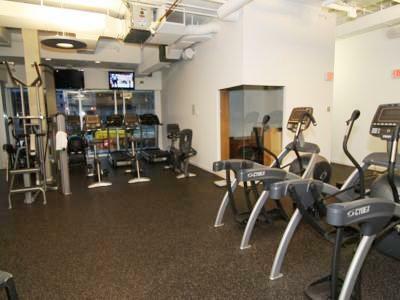 There is also a full 2000 square feet exercise room with treadmills, free weights, cardio and weight machines. This condo is priced right for anyone with a budget in mind! The 1 bedroom condo is a spacious 660 square feet home. 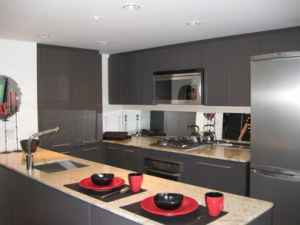 The open concept of the kitchen, dining room and living room provides a warm, social atmosphere. From the floor to ceiling windows you have a view of downtown, the North Shore Mountains, City Hall and a roof top garden. All the appliances are high end with a stove and oven, microwave, full size fridge, dishwasher, in-suite washer and dryer. The bathroom has a bath-shower combination with granite countertops. The third floor has a large public balcony with full views of downtown and a playground area for children. Please note that the furniture in the pictures may vary differently, but will be of similar quality. The condo is a 2 minute walk away from the Canada Line subway station, which will take you to the airport in less than 25 minutes and downtown in 5 minutes. 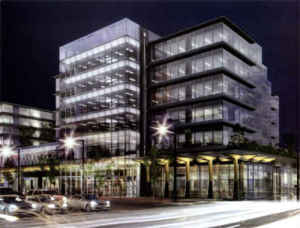 Below the building is a Whole Foods grocery store which will meet all your organic food needs and a London Drugs. Within a few minute walk are great restaurants, pubs, coffee shops, including Starbucks and retail stores. 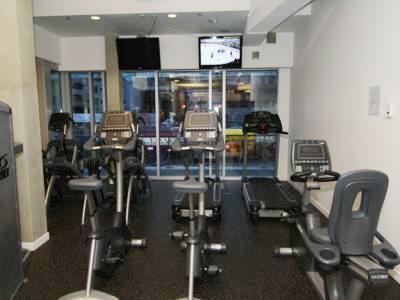 This great location is ideal for anyone visiting for the Vancouver 2010 Olympics. 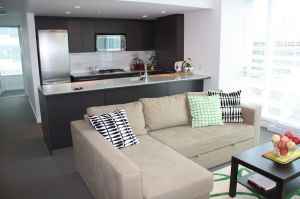 2 additional guests can be accommodated on a sofabed.